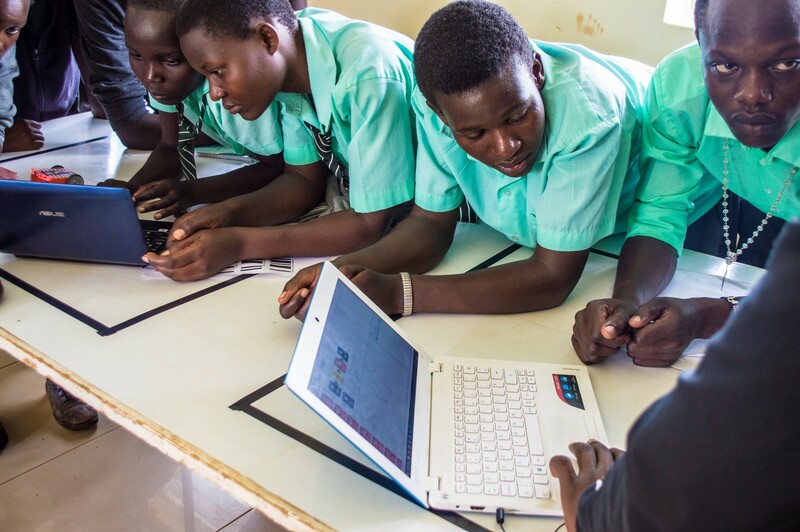 African Code Week Supported by Google Kicks Off in Kitale. St Philips high Tuyoo-Kony. School. 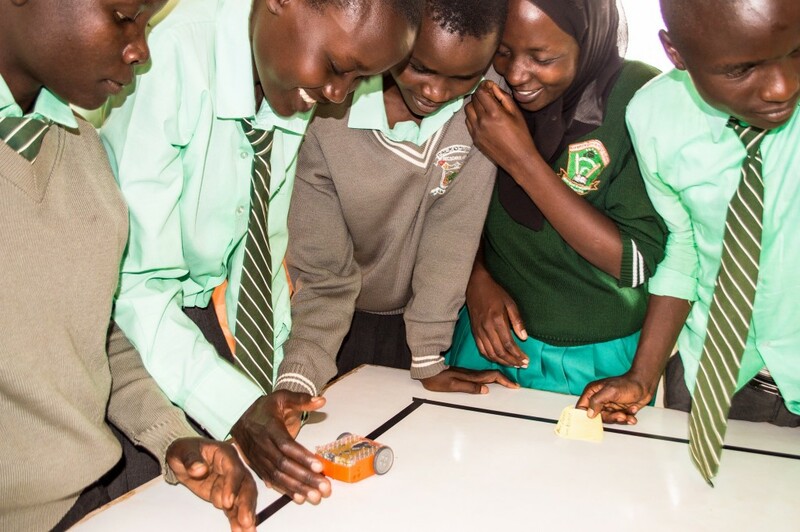 Kitale students learning programming using Edison Robots during Africa Code Week Supported by Google. We are excited to take part in this year’s African Code Week in a program supported by Google from 16th-20th October. African Code Week is an incentive to promote education, innovation and inspiration among young learners across 35 African countries to explore the world of coding. 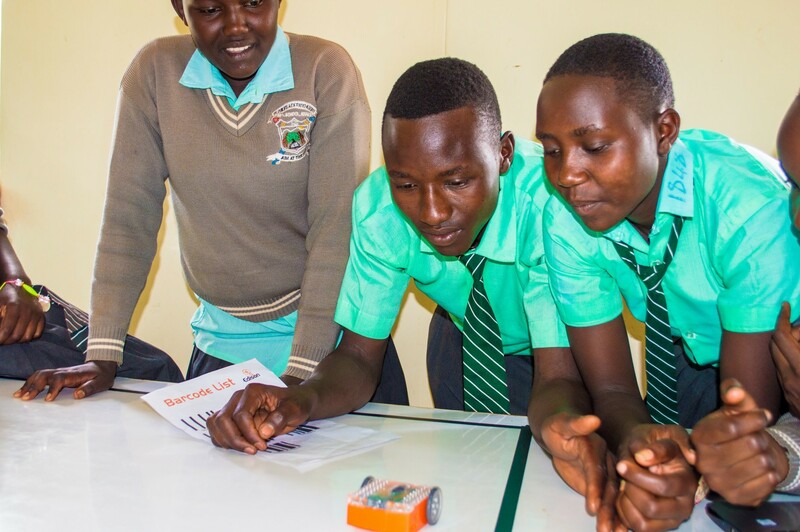 Our activities are being carried out at Manor House Agricultural Centre, Kitale as a continuation of our , Digital Communities Initiative, an exciting project in Trans Nzoia region that is using technology to: better numeracy and reading skills. Monday 16th October was our first day and 52 students from St Philips ACK Tuyoo Kony Secondary School accompanied by their Mathematics teacher and 11 facilitators from African Maths Initiative participated in this event. 34 of these students were girls and 18 were boys. Our first session was on human robot activity where students were grouped in nine different groups. After a simple demonstration on how the robot works, students wrote their own commands that were used to instruct the human robot to execute the commands. 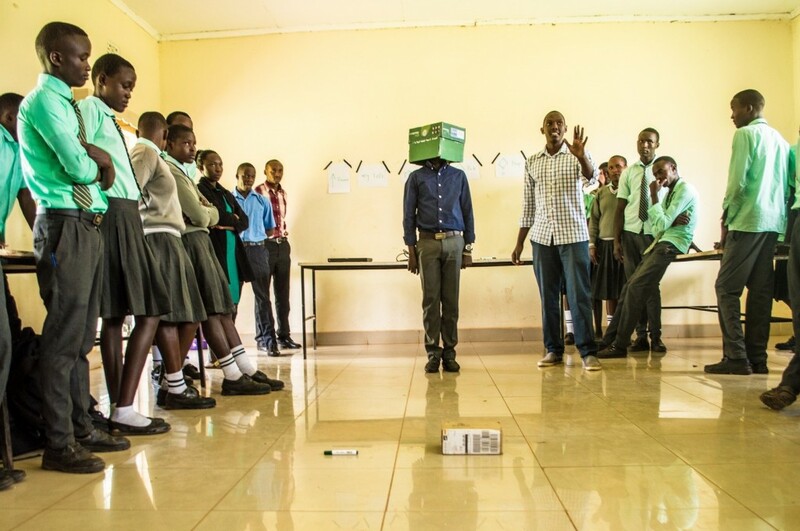 This continued until the learners were able to have an idea about human robots and how they respond to specific commands. An ongoing Human Robotics session. The second session was on Edison robots where students were taken through simple tasks of understanding different parts and basic functionalities of robots. This was followed by the students learning how to scan different bar codes using robots and observe how Edison robots would to specific bar codes. Students observing different actions taken by Edison Robots after bar code scanning. The last session of the day was dealing with Edware Software. During this session, pupils wrote different commands using computers and downloaded them into Edison robots for execution. From the different groups the learners came up with different programs and commands on their own as they play around with the robots from the very basic to a complex function. Students writing commands for execution by Edison Robots using EdWare software. A journal by one of the students. 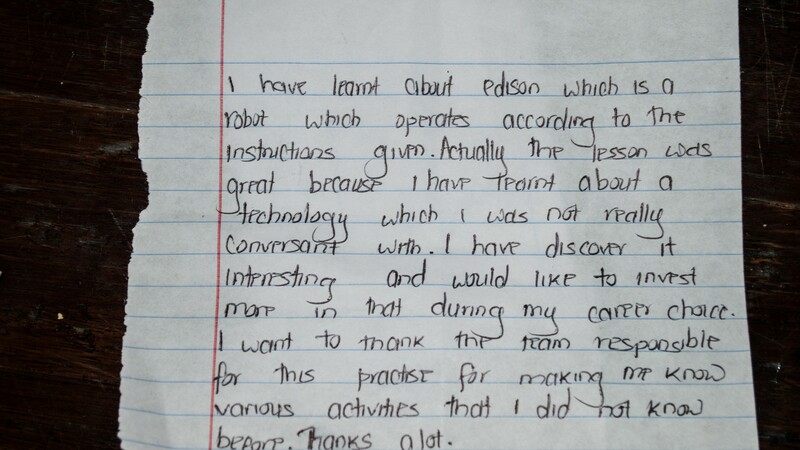 “I have learnt about Edison which is a robot which operates according to instructions given. "